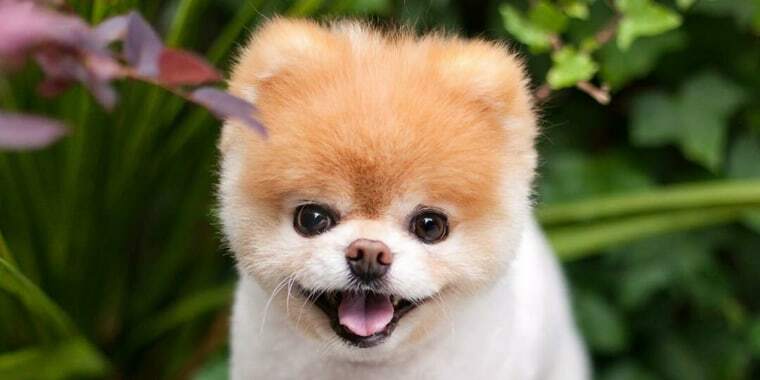 The adorable Pomeranian will be dearly missed. Pet lovers everywhere woke up Saturday morning to some heartbreaking news: Boo, the social media-famous Pomeranian often dubbed the “world’s cutest dog,” has passed away. The 12-year-old pooch racked up millions of fans over the years on both Instagram and Facebook. He often posed and played with his canine best friend, Buddy, and followers loved seeing both tiny dogs get into mischief together. Boo's owners announced the pup's death late Friday night. The post went on to say that Boo showed signs of heart issues as soon as his best pal died in 2017. “We think his heart literally broke when Buddy left us,” the post continues. "Over the years Boo met some super cool people, a lot of crazy talented people, but most of all so many kind people...friends who gave him endless love," the message also said. Now, many of those kind fans are grappling with losing their fluffy friend. While our hearts are with Boo’s family during this difficult time, it’s powerful to see how many lives Boo has touched. The Facebook post announcing his death has racked up over 245,000 reactions and 38,000 comments in just 14 hours. Rest in peace, Boo. You will be missed.